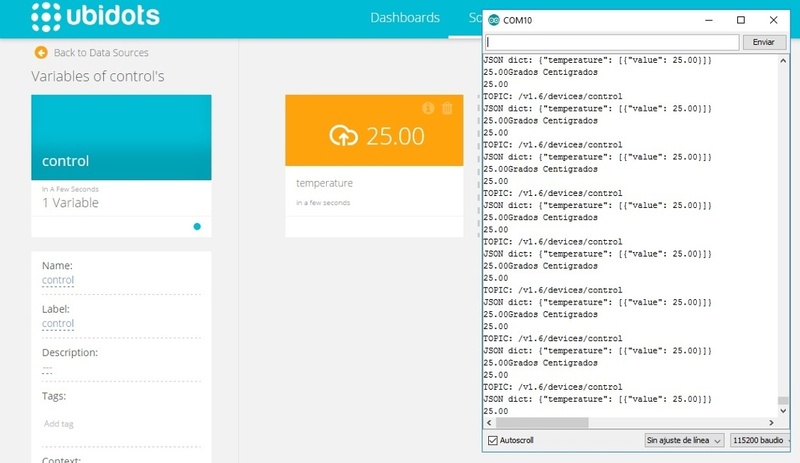 This guide details how to make a temperature control unit using a NodeMCU and Ubidots. 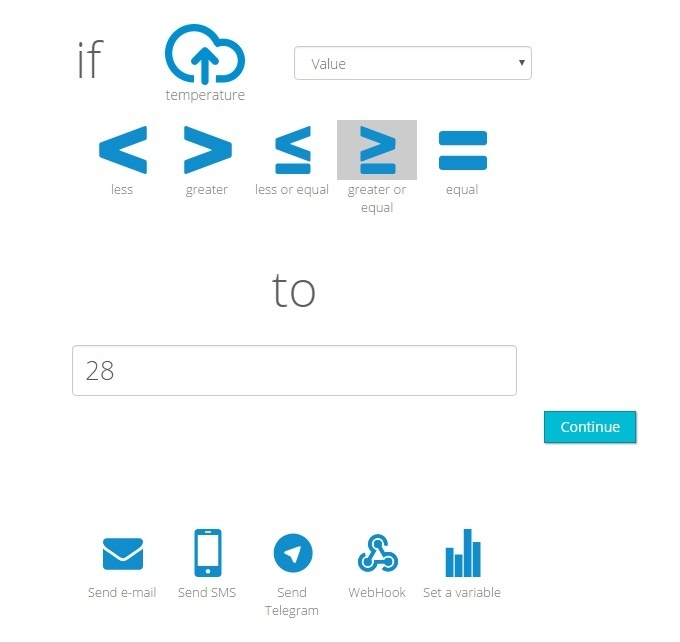 In addition, we'll show you how to create different events that notify you through email or SMS when your "variable" (in this case, the temperature) changes its value. 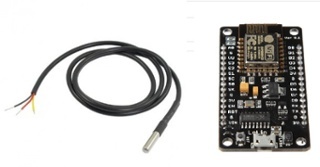 We are going to use a pre-wired and waterproof version of the DS18B20 sensor (OneWire temperature sensor). It's handy when you need to measure something far away, or in wet conditions. 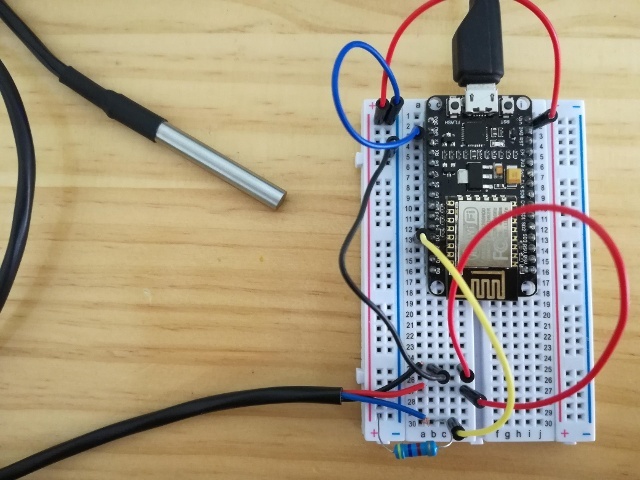 The OneWire temperature sensor has different versions; one of them has a resistor integrated and others don't, so make sure the version you're using is correct before starting with the project. For the control we are going to use a NodeMcu using a digital pin. 6. Select the .ZIP files of Ubidots ESPMQTT, OneWire, and DallasTemperature and then “Accept” or “Choose” for all the libraries. If you can't add the libraries, try manually: unzip the downloaded rar/zip and copy the folder from the library to the path C:\Users\ubidots\Documents\Arduino\libraries. 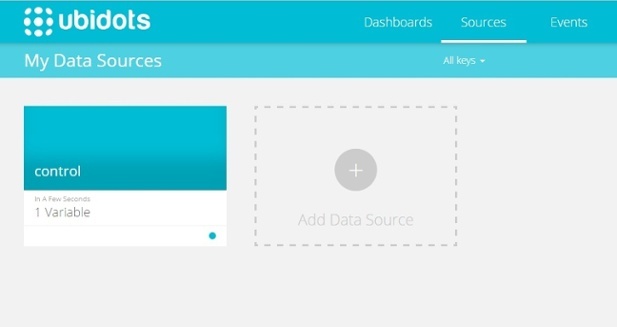 Now, open your Ubidots account and go to Source. You will see a new DataSource named"control". click on it. Also, you can create an Event that notifies you when temperature is irregular. Go to Events, click on Add Event, and select your Data Source and Variable. It's very simple! With just few cables you can observe the temperature behavior of your home, whether you're inside or outside. You can even trigger alerts via email/SMS in case of fire. Now you try! 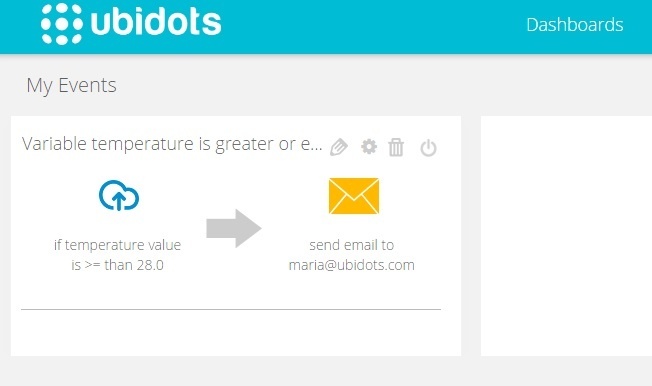 If you haven't signed up with Ubidots, start for Free today!